Your initial appointment usually will consist of an examination and review of your treatment options. We strive to provide you treatment as it was originally scheduled unless, a complex medical history or extensive treatment requires a second appointment to complete your treatment plan. Please assist us by providing the following information at the time of your visit:. 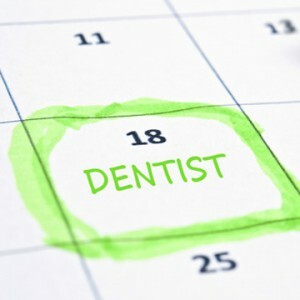 If you have dental insurance a current copy of your insurance card. This will save time and allow us to promptly process any claims. IMPORTANT: Children under the age of 18 must be accompanied by a parent or guardian. If anyone besides the parent is to bring the child, we MUST have written permission to treat the child. Consent forms can be found on this website, which can be downloaded, completed and sent via email to our office PRIOR to the appointment or delivered on the day of their appointment with your child. Our clerical team will ask upon scheduling about any medical condition that may require pre-medication prior to treatment, i.e., congential heart disease or any artificial bones or joints. If your previous dentist has taken x-rays within the year we will ask for their name and telephone number so we may request they be transferred to our office on your behalf. There are times when you may need to sign a records release form in order for the previous dental office to release your x-rays to us. We require all new patients have a full mouth series and/or a panoramic x-ray with bitewing x-rays on file. If it is determined the x-rays we have received are out of date we will take new ones on your initial appointment. We make every attempt to make sure x-rays are not duplicated.